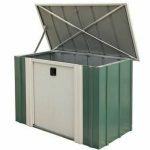 This Biohort storage box is a handy solution for your storage needs, whether you need safe and dry storage of tools or somewhere handy to store garden equipment. 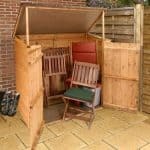 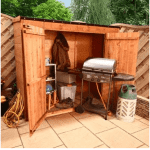 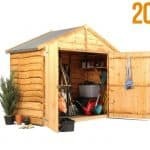 Perfect for outdoor use, it is rainproof and has a cylinder lock that makes it a secure and protective space. 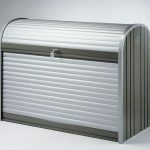 Coated aluminium is used to create the storage box, and the side walls are particularly tough, and made from hot dipped galvanised coated steel plates. 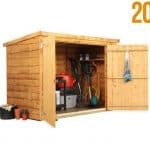 To add to the outdoor preparedness, it has a 20-year ‘no rust perforation’ guarantee. 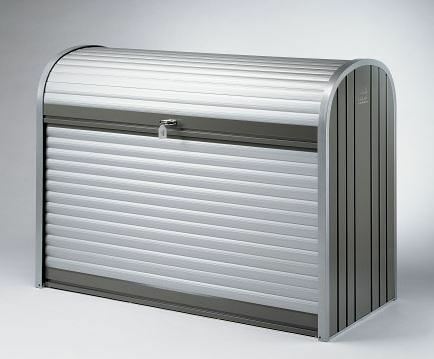 You can open it at the top of the unit, or the front.